Poker blogger “DiamondFlush” has been reporting on the Black Friday happenings concerning Full Tilt Poker from the very outset on April 15, 2011, and there is nobody in poker whose reporting has been more accurate or revealing than the former Subject: Poker writer who now authors her own eponymously named blog. Because of her standing in the poker world, Howard Lederer had agreed to an interview with DiamondFlush –which was to take place after Lederer did a sit-down interview with PokerNews.com and then the 2+2 PokerCast—an interview that he eventually reneged on. After being snubbed, DiamondFlush decided to take on Lederer’s other interviews, using her own sources and facts to dispute many of Lederer’s claims. DiamondFlush later interviewed Chad Elie, one of the payment processors indicted for his role in Black Friday, who also took on Lederer’s claims and corroborated many of DiamondFlush’s findings. Now DiamondFlush has published her summary of her investigation in regards to Lederer –and if you want to know how in depth her reporting was look no further than the 5,400 word summary (yes SUMMARY) of her previous articles. DiamondFlush touched upon a number of issues with Lederer’s assertions, looking at his role as a manager, his role and knowledge of the “special committee” hired to look into the shortfall, as well as a number of outstanding questions –which should prove to be the most interesting for the readers; many of whom are still looking for specific answers. I won’t get into what was reported or the conclusions DiamondFlush reached (you can visit her blog for that) but the summary is a fantastic look at a very, very, complicated matter. – What was Lederer’s relationship with payment processors like Chad Elie and Jeremy Johnson? – Specifically, when and how many times did he meet with them? 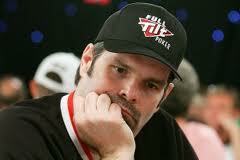 – Did Lederer admit to anyone that Full Tilt Poker was running backlogs? – When were distribution payments voted on? – How were distribution amounts calculated? For his part Lederer has remained silent after his initial media blitz, but he has been a regular in the high-stakes games around Las Vegas –which brought about a petition and its own can of worms. It seemed that his initial round of interviews was simply meant to get out in front of any additional controversy before he rejoined the poker community. It should be noted that a number of people in the poker community have questioned DiamondFlush’s objectivity when it comes to Lederer, most notably in the somewhat leading questions she posed during her jailhouse interview with Chad Elie, which some have likened to a hatchet-job.